black, just not that black.' " says movie maker John Singleton. 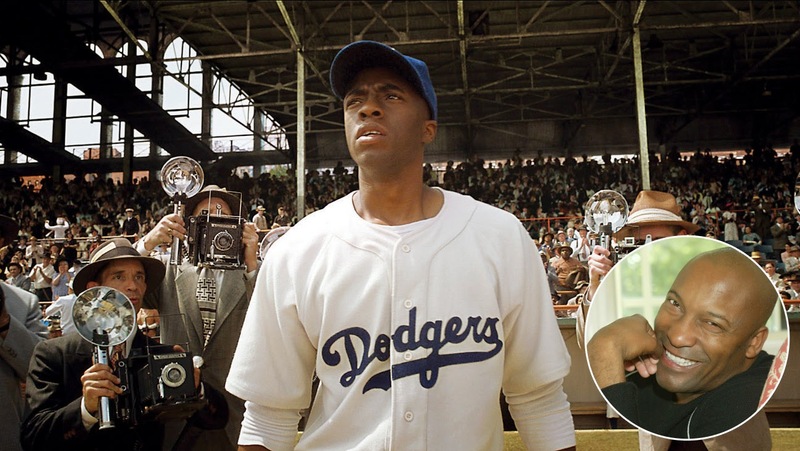 Singleton went on to say "Whenever a black-themed film comes out, I get the call. And even more stops on the street. "Yo, man. What did you think of that flick?" The truth is, I wish folks would ask me what I think of some general releases. (My two favorite movies of the summer were comedies: Seth Rogen's This Is the End and Woody Allen's Blue Jasmine.) But, hey, I guess commenting on all things black is my lot in life, being that I'm a recognizable African-American face in an industry that isn't exactly the gold standard when it comes to diversity." As usual, like everything else in Hollywood, black films tend to come in and go, and by today's standards 2013 is turning into a great year for black cinema. Nearly a dozen black movies will be released by year end. And now that its awards season, three indie flicks are right in the mix: Ryan Coogler's remarkable and unquestionably authentic debut, Fruitvale Station; and Lee Daniels' The Butler, which has drawn a diverse crowd and topped the box office three weeks in a row earning a record $100 Million; and the film everyone is waiting for, Steve McQueen's 12 Years a Slave. If we Didn't live in a world where black men are constantly criminalized and hypersexualized by the media, in a world obsessed with showcasing all kinds of dysfunctional black families, a world that constantly rams these things down our throats, then the fact that this film (written and directed by a white man) focuses on a BLACK family wouldn’t matter to me. BUT unfortunately we do live in a world where all of these things exist. The fact that a white director chose to have this highly dysfunctional family be BLACK is no “accident”, even if he didn’t consciously make that choice (though I’m sure he did). Especially since there are so few fictional representations of black families to begin with. There is not a lot of work for black actors out there, and when there is, it’s usually sterotypical roles. Hollywood’s black film community has always had a one-for-all-and-all-for-one attitude, openly applauding the success of any black-driven movie in the hope its box-office success will translate into more jobs and stories about people of color. But, at the same time, the success of black-themed movies like The Help and this year’s 42 points to a troubling trend: the hiring of white filmmakers to tell black stories with few African-Americans involved in the creative process is a mere Fact!